NBA’s prolific scorers: Who passed? 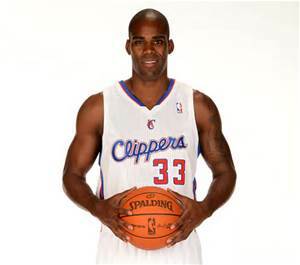 Back in December, Antawn Jamison of the Los Angeles Clippers scored his 20,000th point in the NBA, becoming the 40th player to do so in league history. Jamison, a two-time All-Star, has fashioned a nice 16-year career in the NBA playing for six different teams. He has averaged 15 points per game in 12 of his 16 seasons. One thing you notice about Jamison’s career, however, is that his assist totals are not as significant as his point totals. In fact, Jamison’s career assists per-game average is 1.6 per game. Of the 40 players who have scored 20,000 or more career points in the NBA, Jamison ranks 38th in that category. Only Moses Malone and Robert Parrish have a lower career assists per-game average of those 40 players. At the other end of the list is Oscar Robertson. The “Big O” averaged 9.5 assists per game in his career while scoring 27,610 points in a 14-year career. Following is a look at the 40 players who have scored 20,000 or more career points in an NBA career and their career assists per-game average.